each and everyday for health & hair growth. A high quality, near 99% extract of Pure Ecklonia Cava without needless fillers. Many companies have used clever language to confuse consumers to fall for their inferior versions, such as "full spectrum" which is nothing short of ground up-leaves. Others will use an extract yet provide 87% of their content as corn-starch filler. So all in all, take a closer look, because that "good deal" isn't even close. So in short HairEvo Products are as close to a good value as one could possibly expect. We take these supplements ourselves because we have control of the quality. Caution: Avoid other brands, must be Ortho Nutrition or Nutricology only! Contains pharmaceutical grade, emodin-free, Trans-Resveratrol (99%), Curcumin 95, Quercetin (95%), and Sulforaphane (2%). This offers a profound value on Nrf2 activation. 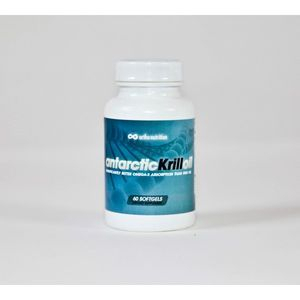 Antarctic Krill Oil. 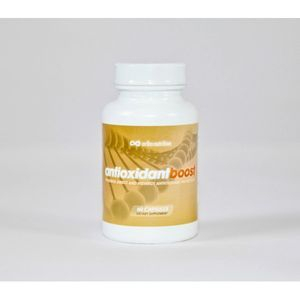 It provides Omega-3 EPA and DHA linked into phospholipids, as well as the versatile protective carotenoid astaxanthin. These nutrients are vital lipids that act as building blocks for the cell membrane systems that manage many important bodily functions. 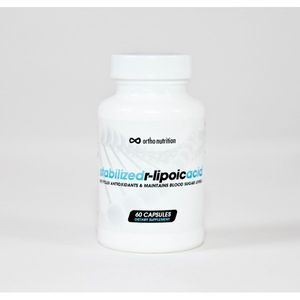 Stabilized R-Lipoic Acid utilizes BioEnhanced™ Na-RALA, the sodium salt of R-Lipoic Acid. This stabilized form does not degrade at high temperatures, and is also far more bioavailable than standard R-Lipoic Acid. Fat and water-soluble, universal access to body tissue. Decalcify utilizes therapeutic dosages of the two best forms of Vitamin K2 (MK4 and MK7) in conjunction with FruiteX-B® (a highly bioavailable form of Boron) and both Magnesium and Potassium Orotate. Typical Vitamin K2 supplements provide the cheap "food grade" version that lacks the efficacy and absorption rates of their more expensive pharmaceutical-grade counterparts. Works best with Lipoic acid for improved energy. Tip: If you decide to order through www.iherb.com, using "HIL335"
referral code will save you $10 off your initial order. Thyroid Boost is an alimentary source of iodine (better than organic). Thyroid Boost contains a full range of nutrients that support a healthy thyroid gland. These nutrients act as a rich source of vitamins and minerals that provide both detoxification and immune system support. 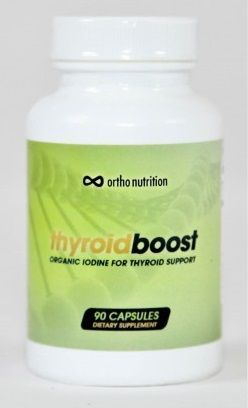 Thyroid Boost's primary constituents include organic and naturally-occurring iodine, selenium, alginates, and fucoidan Quintessentially, this concentrated extract offers full-spectrum thyroid function co-factors in addition to metabolism and immune enhancement qualities. Cardiovascular risk? Elevated Lipoprotein(a) levels? Different probiotics works for different people. Here is one option that works for some. which specific supplements will be most helpful can vary. While it is not necessary to take everything listed, it is important to use at least the most important. stress remaining for the supplements to counteract. vitamin C, iodine, magnesium, etc. Beyond that it is quite subjective. of this discussion is to "caution" or prepare people for some of these internals. understand that is anywhere from 1/4 to 1/10th the power or less than the natural R-Lipoic! for a stabilized form of R-Lipoic known as K-RALA or N-RALA. energy, not just stimulated energy but real mitochondrial energy. of the anti-oxidant activity (which will regenerate/recycle) other anti-oxidants (like C & E). activity. 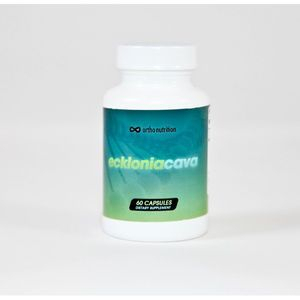 ALA or Lipoic Acid also raises Glutathione production, which is a "universal antioxidant,"
Many of these supplements, especially when used together is likely to create a virtual "tidal wave"
unrealizing that an incredible benefit is occurring. The improvements in mental clarity, energy, elevation of mood and even libido maybe noticed. You're not imagining it, these benefits are common and actually expected. find better lipid and blood pressure and triglyceride readings I would count on it, at least in time. of lipoic acid has to be carefully rationed and used). In such cases, opt for alpha lipoic acid instead. can delay telomere shortening, which is synonymous with longer life. Disclaimer: The information provided on this site should not be construed as personal medical advice of any kind or instruction. I am not responsible for the availability or content of any external or internal sites. No action should be taken based solely on the contents of this site. Readers should consult appropriate health professionals on any matter relating to their health and well-being. Disagree with any of the contents? You're entitled to disagree, and I encourage everyone to perform their own due diligence and research the living daylights out of anything not agreed with herein.